I have written a book on epigenetics and how everyday items like diet, positive/negative thinking, beliefs, environment and attitude can affect our health and well-being. It is called Food for Thought – An Epigenetic Guide to Wellness. It appears that we are NOT hard-wired by our DNA but have a “software” like system above the hardware called epigenetics. 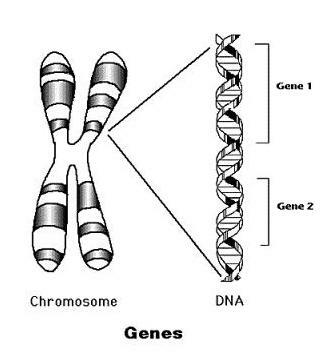 Epigenetics “expresses” or turns ON our genes. It can also block or turn OFF certain genes. The effect of these changes can be health or sickness. My background is Physics and Math in college. I then spent most of my career in the computer business. I have a strong scientific and computer background. I was a public speaker for Microsoft as a Regional Director in charge of New York City. This allowed me to speak to as many as 2,000 participants at a conference on the latest and greatest in computing. I see epigenetics more from a computer point of view than do most scientists. This is an advantage given the current understanding of this subject. I have always had a healthy interest in why things happen and what influences them. Biology of the body and DNA always was an interest to me. I became fascinated by the fact that this DNA somehow made each of us and created our intelligent brains. Scientists began to determine that there just wasn’t enough DNA to do the job. I began to see it like a computer. Computers have a relatively few simple instructions that when arranged in different orders produce all the programs in the world. They range from Windows to word processors to spreadsheets to digital programs to corporate programs and on and on. What in our bodies was like software sitting on top of the hardware instructions? This fascinated me for years. Then I read an article about epigenetics and it became clear that epigenetics sits on top of DNA like software sits on top of hardware. It was the missing link that allows simple instructions to be arranged in infinite ways to creat complex outcomes. I began to read everything I could on epigenetics and a hundred plus books later and some online doctorial courses later, I have some knowledge of this subject. We are about to enter a new age of better understanding how our bodies work. We will also gain knowledge on what affects our bodies both in good and bad ways. The field of epigenetics coupled with nutrigenomics has promising potential to link diet to illnesses. It will be a long hard up hill road but the results will be well worth the wait. I would love your comments, ideas and thoughts on this subject. Biologists and epigenetists please comment on the technology and science of epigenetics. George, thank for agreeing to us linking to your blog. The article above is a very good explanation for the layman about the importance of epigenetics to health. I wonder if you would allow me to use it on The Therapy Book blog? Be my guest John. When is the book out? I am not a Leo to make appointments for you but search the web for him and email or call him. Let me know how it went. Thank you! I hope you continue to enjoy my BLOG. Thanks Paul, let me know how you like the book. What you write about, is really important. It is scary when money can make profit the only result worth living for, thereby creating a society nobody really wants. We are social beings, and most of us would like to do something for the world if we had a chance. Your blog is essential for healthy critical thoughts, and I was wondering: Would you be interested in reblogging some of your posts on http://forfreepsychology.com ? This is exactly the type of information I feel must get out there! Thank you for your kind comment. You can re-blog it if you wish. I would like to get as many people as possible thinking about their health. Thanks Fred, I appreciate that!